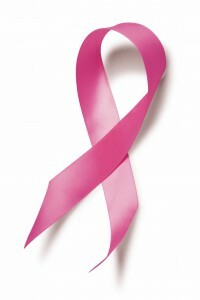 It’s that time again: Breast Cancer Awareness Month: a time for celebration and renewed interest in curing the disease. But, amidst all the headlines dominating healthcare today many people may not be aware that the future of research at academic health centers is in jeopardy. Although the headlines are justifiably focused on clinical care, it is important to realize that the funding and monies for research to advance the field is quietly and rapidly disappearing. Clinical advances in the field such as lumpectomy instead of mastectomy, sentinel node biopsy instead of axillary dissection and many other now-standard treatment options could not have been possible without grants and personal philanthropy to support the research mission of academic health centers. The New England Journal of Medicine recently noted that cuts in funding, decreasing provider reimbursements and an ever-shrinking healthcare dollar puts the research mission in grave jeopardy because available dollars barely cover clinical care alone.1 A tough economy compounds these challenges. And since most people rarely see what their donations make possible, some have begun to question whether funding research does anything at all. But as an academic researcher, I can tell you that the research does make a difference. A big difference. And it usually doesn’t matter whether funds are donated by a college student or a large national organization. The challenge, especially when resources are limited, is to see exactly how our generosity has brought about worthy change. What many people don’t know is that they can impact breast cancer research directly by simply asking their academic breast surgeon or other breast specialist “What research are you doing on breast cancer, and how can I help?” The majority of research is clinical – meaning that it deals with patient treatment and care, and doesn’t require a laboratory. Today, most academic doctors have numerous projects ongoing, and so frequently that you can choose to support research that they’re doing that sparks your interest. These projects can be funded with a few hundred dollars to a few thousand dollars and usually take a year or two to complete. But even donations smaller than this, targeted at a specific project, can make a big difference, and the true reward comes when that doctor or researcher reports back to you with a status report about what your support helped to achieve. It is almost unheard of today to donate to a cause and get feedback about precisely where those monies went and what they accomplished. Doctors are often hesitant to ask for research donations because of the concern that patients may feel awkward if they need to decline. Although most physicians understand and would never let that interfere in that physician-patient bond, concerns remain about how this might be perceived. And so the cycle continues: We don’t ask. The public doesn’t know. Support continues to decline. At Fox Chase Cancer Center we have the brightest minds and clinicians coupled with some very generous friends and patients. We will always strive to eliminate cancer no matter what the challenges – funding or otherwise. But during Breast Cancer Awareness Month, before you donate, stop and ask yourself: Do you know of a place where your hard earned dollars could go to make a difference that you can see? I’ll bet your doctor does. 1. Dzau VJ, Cho A, Ellaissi W, et al. Transforming academic health centers for an uncertain future. N Engl J Med 2013;369:991-3.